Please note: We are now located in Stokenchurch. Please see below for the new address and travel information. Our Buckinghamshire clinic was previously known as Aurora Clinics but is now part of The Private Clinic Group. The Private Clinic has over 35 years’ of award-winning experience seeing over 15,000 new patients each year and are world-class specialists in Body Contouring & Liposuction, Cosmetic & Plastic Surgery, Hair Transplants & Restoration and Aesthetics/Rejuvenation & Dermatology for both Men and Women. 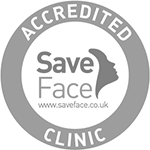 This joining has created one of the largest groups of specialist aesthetic and cosmetic surgery clinics in the UK. Our Buckinghamshire clinic is discreetly based on the top floor of the Stokenchurch Medical Center in the village of Stokenchurch. There is a large free carpark located outside the building and The Private Clinic has its own seperate enterance round the rear side of the medical center. Our buckinghamshire clinic is located close to the M40 and on the border to Oxfordshire making it an ideal location to cover the towns and villages across Buckinghamshire. The Buckinghamshire clinic is located on the A40 Oxford Road and is easily accessible from the M40 just off junction 5. There is a large car park on-site which is free to use for all patients. The nearest train station to our clinic is Saunderton however this is a 13 minute drive away so you would need to make further travel arrangements from here.